Premanjali Rao worked as a teacher on a Caribbean island after completing her studies in literature and educational science. Upon returning to her native land, she became involved in the Centre for Research on New Economic Order (CRENIEO) where she founded a school for impoverished fishermen families and members from underprivileged castes in 1987. Ever since, Mrs. Rao has been committed to the challenge of improving the living conditions of coastal people in the Pulicat Lake region. The work of CRENIEO is based on the teachings of Mahatma Gandhi and a scientific analysis of the situation of the poor, resulting in the participatory development of joint projects that are tailored to the needs of the marginalized population. The projects cover many areas of a sustainable rural development strategy. One major ecological focus is the restoration of the biodiversity and mangrove forests. In the 2004 tsunami, the lack of mangroves had devastating consequences, especially for the fishermen. Another focus of the project is on environmental education for school children and adults as well on the promotion of organic agriculture. For food and income security women self-support groups have been empowered to generate their own income by running small businesses or agricultural enterprises. The income helps the women to escape the poverty trap. Women in 58 villages have formed almost 350 self-support groups which have improved their family livelihood. 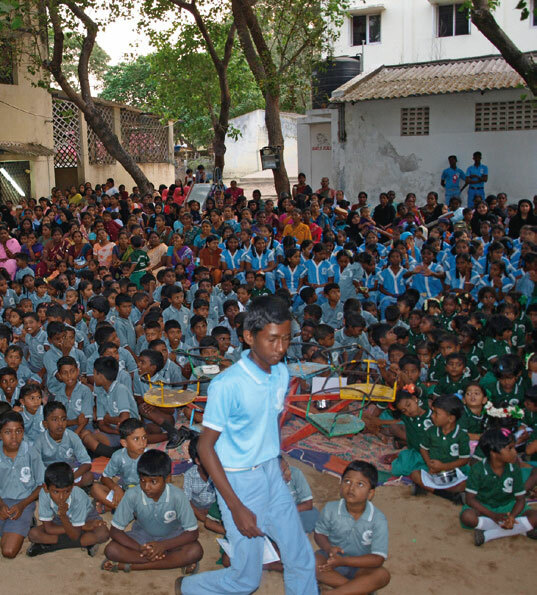 So far 4,000 children have attended the Pulicat School that is also known as a pioneer in environmental education and 700 boys and girls have received a professional education. More than 200 organic house gardens help to supply food to a lot of people. A forest protection and tree-planting program in 30 villages made an important contribution to re-establishing the ecological balance in the region. The various projects reach more than 10,000 people. The work of Premanjali Rao and CRENIEO is very diverse. With its focus on the alleviation of poverty and the protection of the environment, the projects set a successful and powerful example for sustainable development.